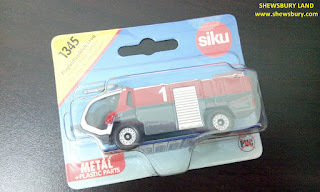 This is a die-cast car model of airfield water canon truck produced by Siku, a German company - "Sieper Lüdenscheid GmbH & Co. KG" in Lüdenscheid, Germany. 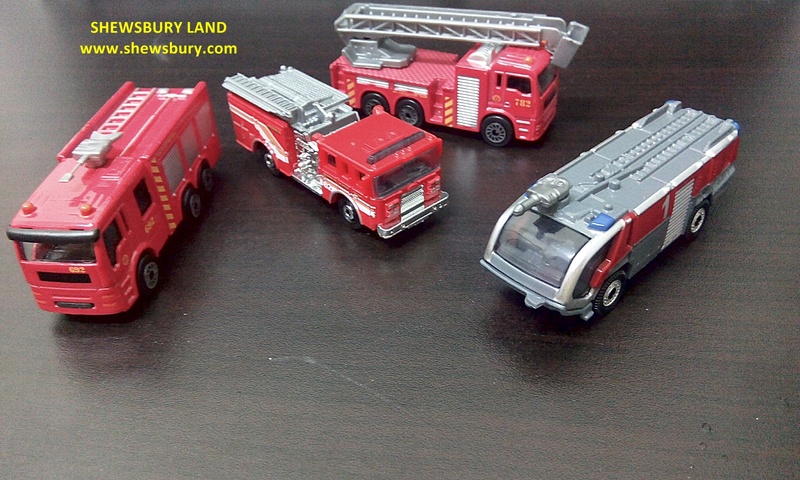 The company manufactures many vehicles, but the Super Series 1:55 scale die-cast line is the core product. 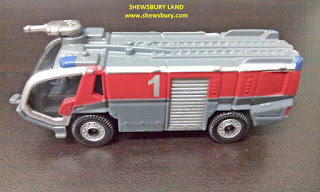 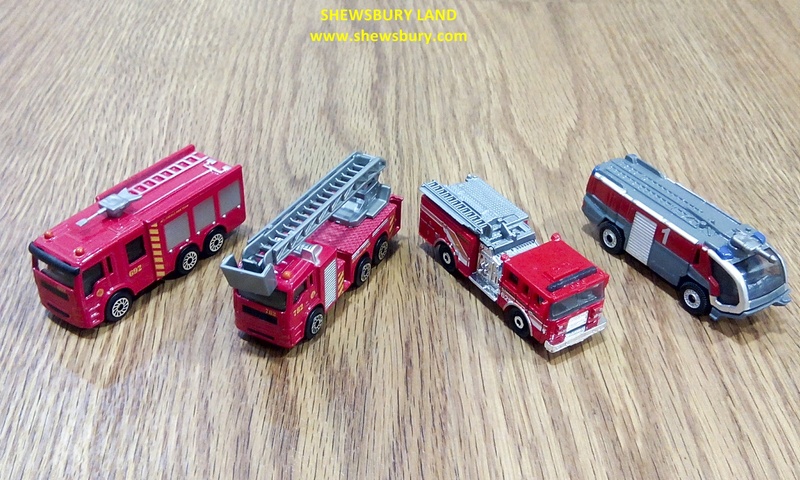 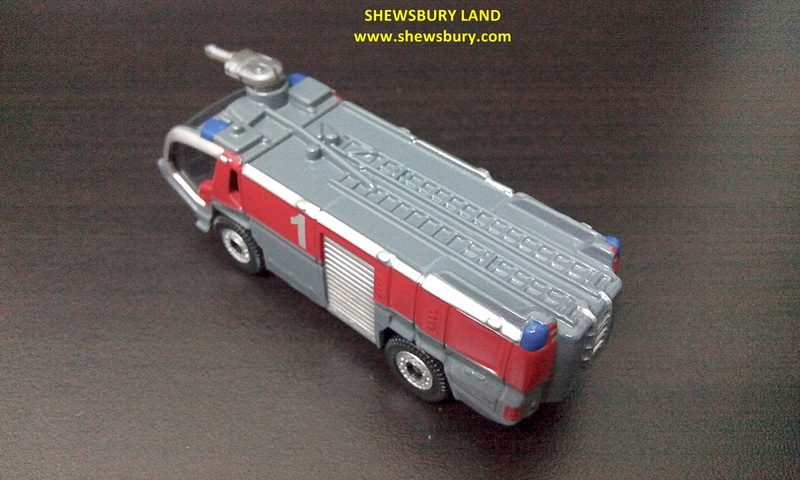 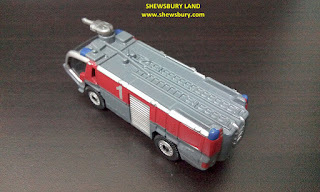 Though I don't have many of them but I actually love those red firemen rescue trucks or what ever you prefer to call them and this one caught my eyes and immediately I decided that this should be good to be included into my collection. 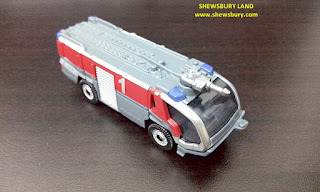 I don't know the actual model of this truck but when I Google around I tend to believe that the actual model is “Rosenbauer Airport Water Canon Truck”. 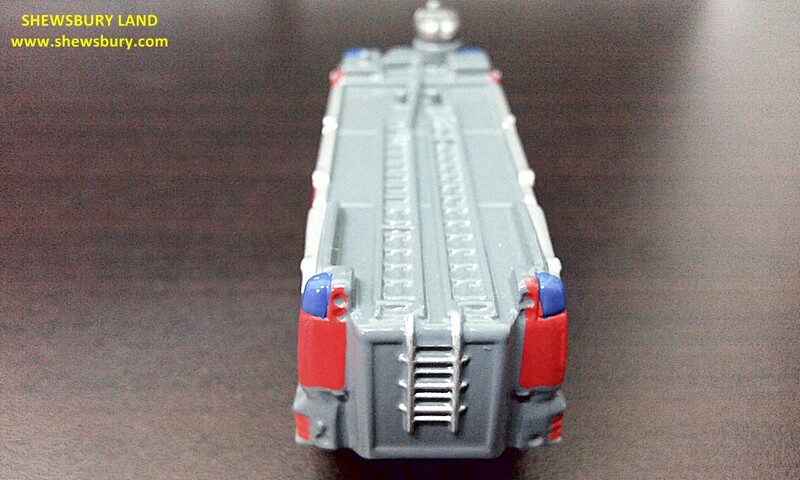 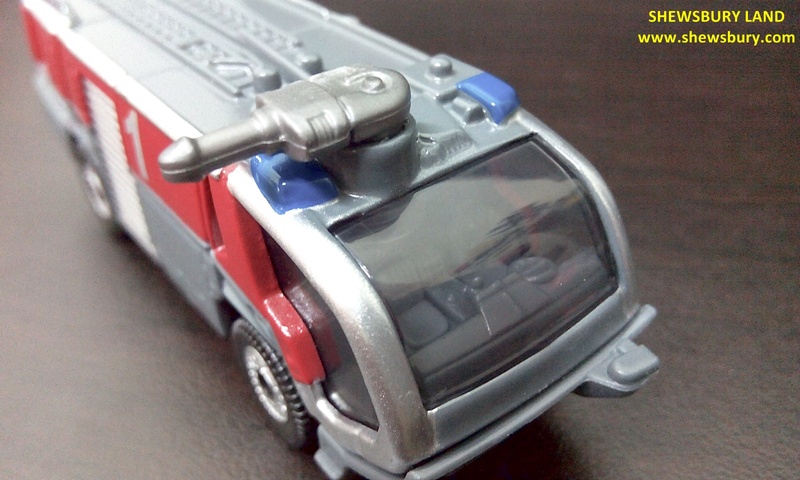 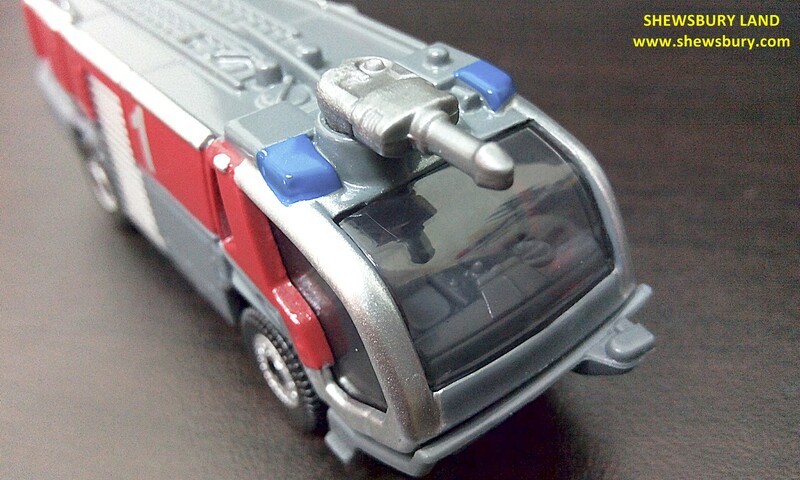 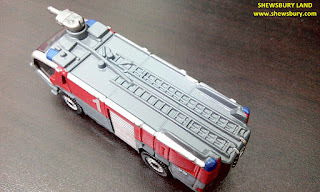 The casting quality is far from terrible and the painting and finishing quality is more or less the same like what I used to get from Tomica of Takara Tomy – which means they are quite good indeed. 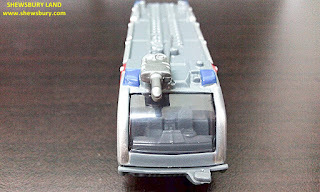 The detailing is pretty much basic but not horrible as well, I guess we get what we paid for such scale model. 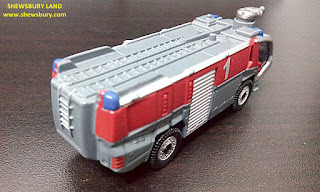 The only gimmick or additional features available on this model is the movable water canon on top of the truck. 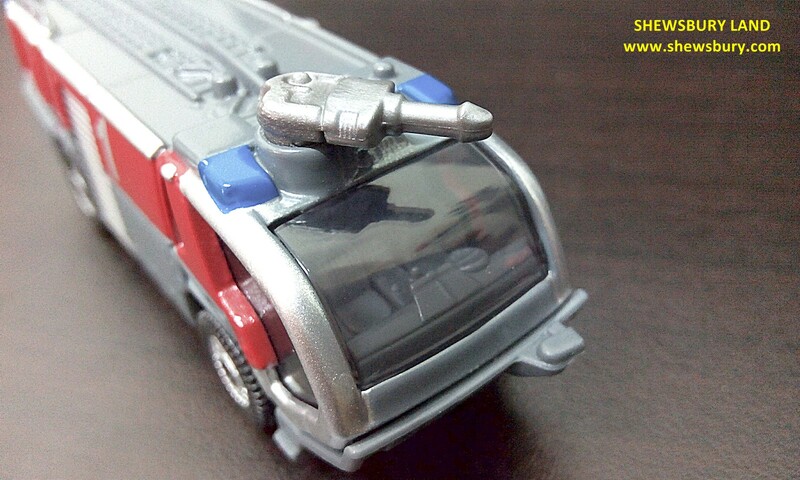 Basically you can turn them around to any directions - 360 degrees. 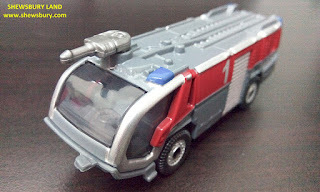 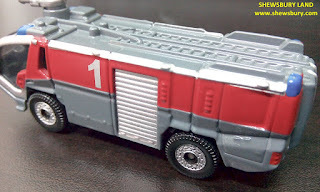 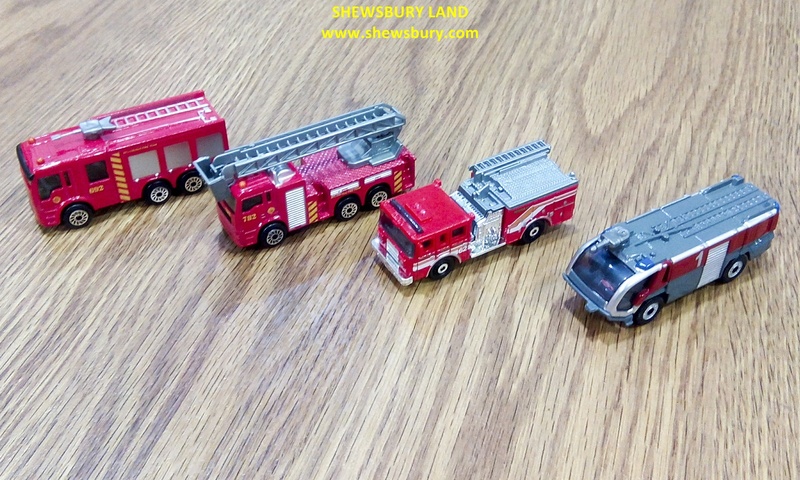 Overall, this is seems to be a very decent die-cast car model and for those who are focusing in collecting the firemen truck, you can add this model into your collection if you happen to like it. in fact you are right about it - this particular vehicles can be hard to find coz when you go to those Hot Wheels sections and look through the car models, you will most like see those normal passenger car or sports car, American muscle car, typical Japanese and European cars, a few vans, some weird looking vehicles that you thought no body would buy and some "fast cars" for specific Hot Wheels racing among others but it is indeed pretty random to find the firemen trucks!!! 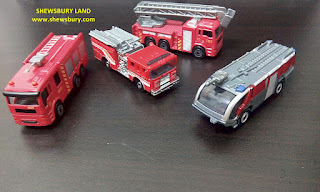 In my recent visit to the Hot Wheels section at a local supermarket in here, I see none of firemen truck, not even one. What you see in this post is those that I bought in the past - found them accidentally and grabbed them immediately!!! 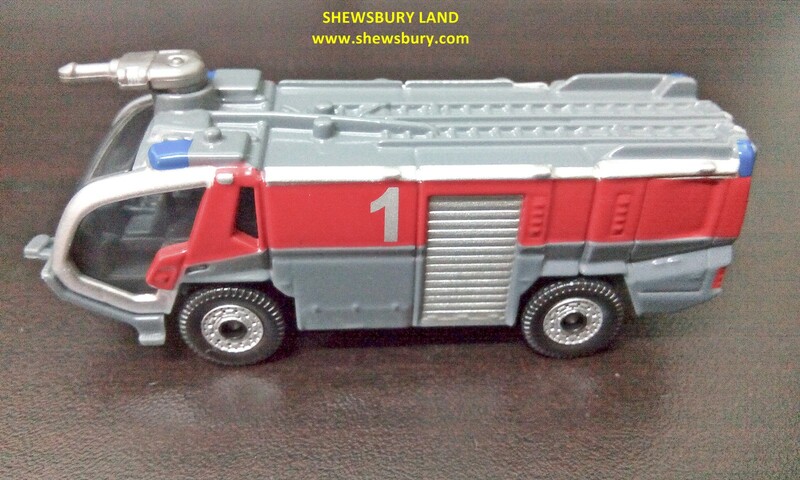 I love this type of design fireengine. This is more for airport I guess.